The data book, CR Factory Community White Paper 2016 was created by a Japanese nonprofit CR Factory based on thorough research utilizing more than 20 books’ worth of knowledge on the topic, focusing on “tsunagari” (social connectivity) and community which might be linked to various raising social issues in Japan. ＊For more information about CR Factory, please refer to the end of the article. 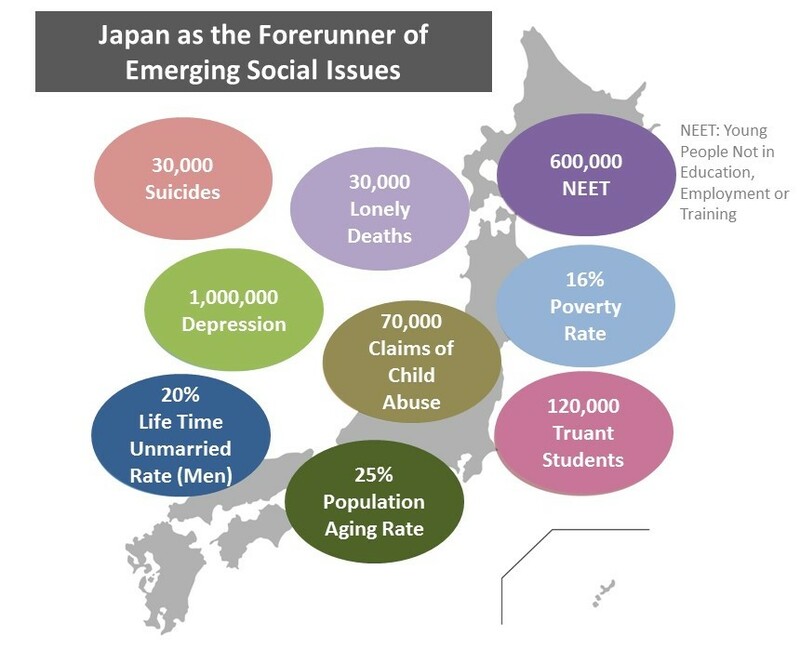 As one of the forerunners among the developed countries of the world, Japan is currently facing a multitude of social issues which have emerged within the past 20 years. These issues, such as a declining birth rate, a growing proportion of elderly people, and shrinking population in rural areas, are unprecedented, and therefore, Japan’s experience in dealing with them is likely to become a point of reference for other countries. 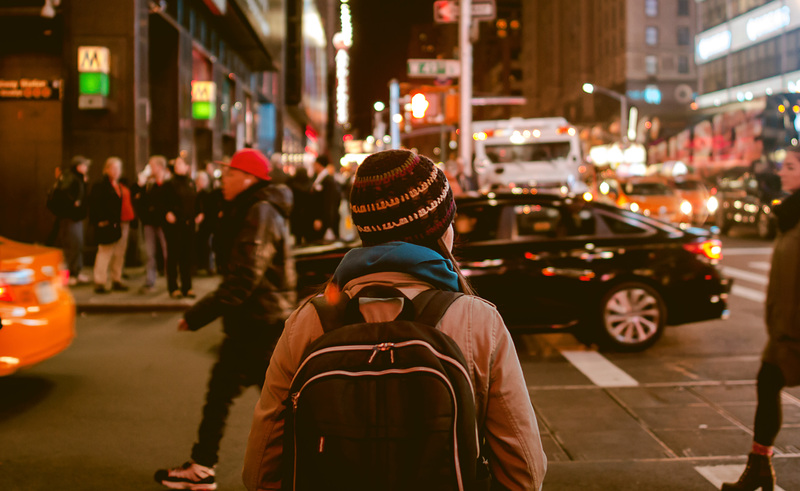 In the search for solutions, two fundamental factors, “dilution of relationships” and “weakening of communities,” have been singled out as key influences in the development of social problems. Weakening of Relationships in neighborhoods, workplaces and families. Japanese people used to enjoy diverse types of relationships based on blood ties (relatives), locality (neighborhood) and work. In recent years, these interpersonal relationships have been weakening. 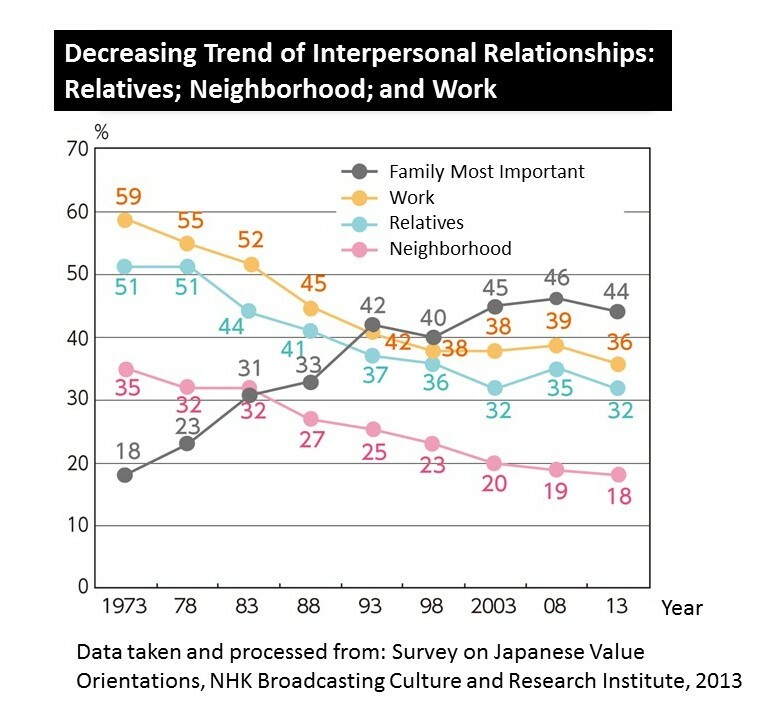 For example, as seen in the graph, the Survey on Japanese Value Orientations conducted in 2013 by the NHK Broadcasting Culture and Research Institute showed a declining trend in the number of respondents with a preference for “open” interpersonal relationships in all three contexts: neighbors, workplace and relatives. Despite rising belief in the importance of family, the survey also revealed an increasing preference for partial and formal interpersonal relationships. This has led to a weakening of human relationships in all three areas. 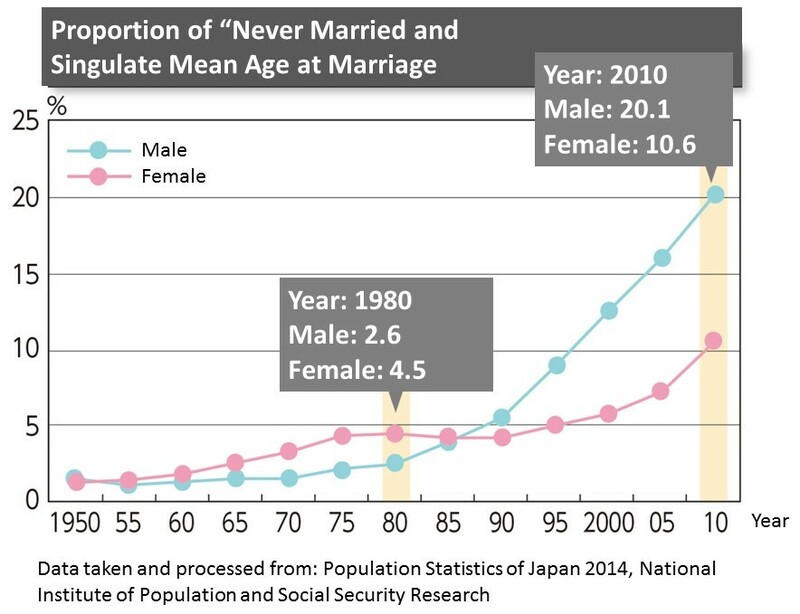 According to the Population Statistics of Japan 2014 conducted by the National Institute of Population and Social Security Research, the proportion of those “Never Married” in 1980 was 2.6% for males and 4.5% for females, showing that almost everyone in society was married. However, a shift in trends has become increasingly apparent so that, by 2010, the proportion had changed to 20.1% for males and 10.6% for females. Now we are living in a society in which one out of five males does not get married, and with this trend, it is highly likely that our society will have more and more “singles” in the future. In light of this situation, the necessity of changes and adjustments in policies and the social security system is becoming more and more evident. 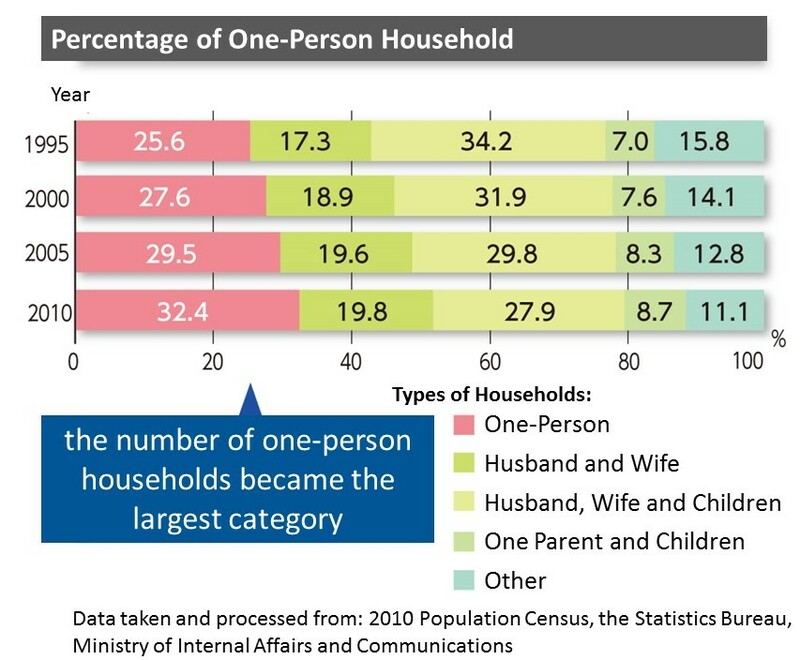 According to the 2010 Population Census conducted by the Statistics Bureau, Ministry of Internal Affairs and Communications, one-person households had become the largest (16.8 million) category among private households when divided by size of household. They comprised 32.4 % of private households, and this was the reflection of a trend which had been continuing for over 30 years. It is now believed that the increase in one-person households will have new influences on society. The necessity of outside support for the ill, elderly, and disabled is one predictable consequence, as is a higher risk of social isolation. 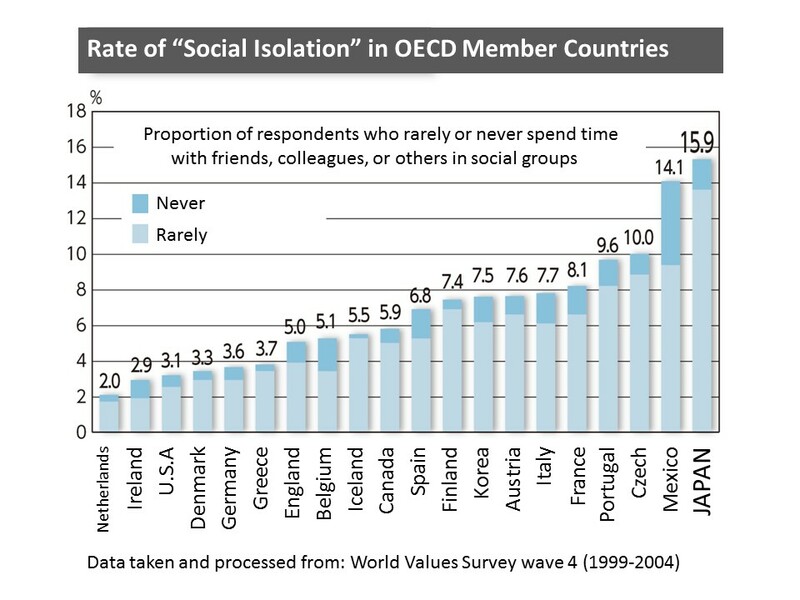 According to the results of the World Values Survey Wave 4 (1999-2004) referred to on the web page Honkawa Data Tribune (Shakai Jitsujo Data and Figures: http://www2.ttcn.ne.jp/honkawa/), Japan had the highest proportion of respondents who rarely or never spent time with friends, colleagues, or others in social groups. It could be argued that that these results stem from the weakening of traditional social relationships (with relatives, neighbors and colleagues) due to economic developments of the post war period. CR Factory (http://www.crfactory.com/) aims to foster close-knit communities in which individuals can form both emotional and physical attachments, thereby contributing to the creation of a society where everyone’s lives will be enriched by companionship and a sense of belonging. Through the provision of workshops, seminars and consultations, CR Factory commits itself to practice hand-in-hand support to client NPOs, enabling clients, through experience, to learn the basics of organizational management and strengthen human resource development. The interview article with Tetsuaki Go, the CR Factory’s representative, is available here.